Have you ever been in an old restaurant or theater - a small town's Main Street mainstay or an old-school auditorium - and looked up to see elegant, ornate pressed tin squares? This delicate, desirable medium brings intrigue, detail and texture to any space and is a true hallmark of Victorian and American design from early 20th century. 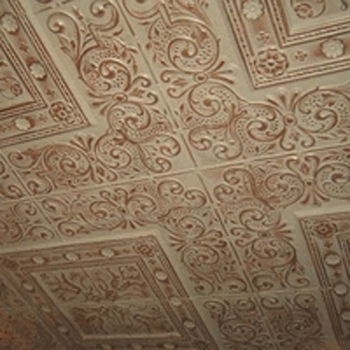 The fact is, they just don't make things like they used to, which is why we offer pressed tin squares, including pressed tin ceiling tin, pressed tin friezes, pressed tin backsplashes and pressed tin wainscoting: so that you can recreate this antique, architectural decadence in your own home. Take advantage of the revitalization design movement with these awesome home décor options. Designed to imitate European plasterwork, pressed tin home décor has recently regained popularity as homeowners strive to find unique ways to add architectural interest and character to their homes' interiors without the high price tag of renovation. You can use pressed tin to decorate walls, windows, ceilings, fireplaces and more. 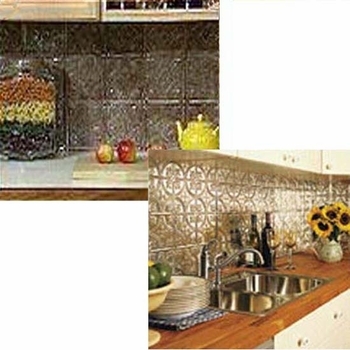 Pressed tin in a kitchen backsplash is fast becoming a very popular item in home decor. And, in the long run, a pressed-tin backsplash is a great alternative to ceramic tile and caulk. 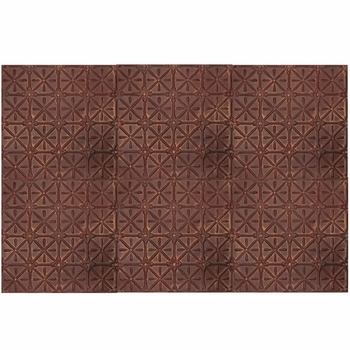 Link ancient design with your architecture; available in a variety of antique finishes our pressed tin friezes can help to accentuate your decor in numerous creative ways. 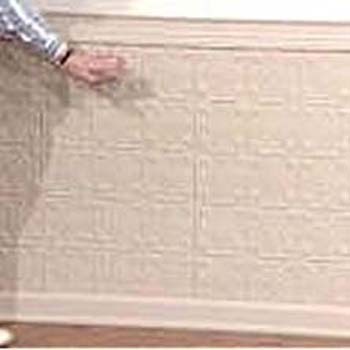 Pressed tin wainscoting adds significant drama that can transform an otherwise common wall into a personal artistic statement.